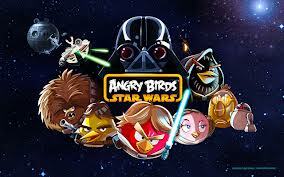 Angry Bird Star Wars is now available for download on iOS, Android, Windows Phone, Kindle Fire, PC and Windows 8. The Angry Birds features birds that look like Luke Skywalker, Han Solo, Princess Leia andChewbacca, R2D2 and C3PO and pigs lookalikes of Darth Vader, Storm troopers and so on. Angry Birds also features iconic Star Wars locations, 80 immersive levels, “hours and hours” of gameplay, fresh mechanics, and new level-up capabilities for birds. “Use the Force, wield your lightsaber, and blast away Pigtroopers on an intergalactic journey from the deserts of Tatooine to the depths of the Pig Star — where you’ll face off against the terrifying Darth Vader, Dark Lord of the Pigs,” wrote Rovio in the app’s App Store description. “Time to grab your lightsaber and join the adventure! May the birds be with you! Download on the App Store and Mac App Store.